SALT of the Earth in Baltimore! 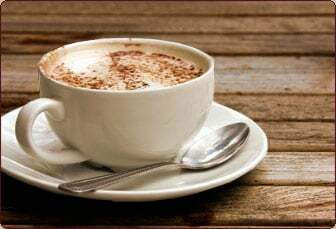 Coffee and light breakfast on Saturday mornings serving from 9:00-10:15am and Sunday mornings serving starting at 8:00am. We set up two tables on Fallsway near Our Daily Bread and two tables on Broadway near Lombard. Come any weekend, arrive by 8am to OLPH Kitchen for loadup on Saturdays and 7am on Sundays. Food or supply donation drop-off: The OLPH kitchen is always open on Saturdays from 7:00-9:00 am, most Thursdays 6:00-7:00 pm, and there is a blue bin marked SALT outside the back door of the parish kitchen (playground side) for dry goods to be dropped off anytime. There are three ways you can serve with SALT – Dollars, Food, or Time. Donations can be made through Faith Direct as detailed on the OLPH web site. Food donations are also always welcome. See below for the items we need on a regular basis and signup to provide whatever you can. As for Time, volunteers are always welcome to travel with the AWC teams to help serve downtown or to help in the kitchen. The SALT group travels downtown every weekend if it's cold or hot or wet or windy and fellow human beings NEED your compassion!!! Location: Meet at OLPH Kitchen to load up, drive downtown and serve! Minister with converstaion and prayer to the guests downtown. We could use a ride if anybody can accommodate. Drop off in OLPH kitchen marked SALT.